Ladies embroidered light purple cotton handkerchief. Ladies embroidered light purple cotton handkerchief. Personalised with embroidered initials or a name in the thread colour of your choice. 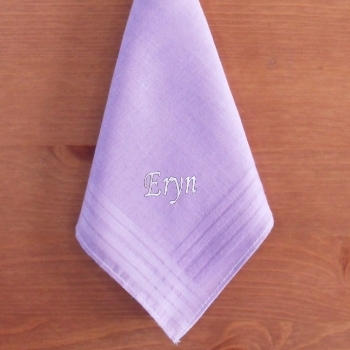 This pretty pale purple hanky can be for everyday use alternatively it can be for an occasion.